Almost everyone thought that Selena Gomez would be the first lady to get an engagement ring from “Baby” crooner Justin Bieber especially after their reunion in late 2017, but less than a year later, the media was greeted with the news of Bieber’s engagement to hot model Hailey Baldwin. They had dated briefly in 2016 before their engagement in July 2018. But Baldwin isn’t the first model to be linked with the pop star, Justin Bieber’s girlfriends over the years have included a handful of supermodels. Being that he rose to fame really early in 2008 at the age of 14, the age when most guys start dating, Bieber’s romantic life has been under the mediascape. In celebration of his first engagement, we take a trip down memory lane to look at Justin Bieber’s relationship history. In chronological order, here goes the list. Upon relocating from his country Canada to Atlanta, Georgia in 2009 to focus on his burgeoning music career, Bieber met Caitlin Beadles in church. They dated briefly before Bieber’s busy touring schedule broke them apart. It’s 2010 and Justin Bieber’s stardom is sky high, also, actress and singer Selena Gomez is achieving great things in her career and both are idolized by teens all over the world. So when news of them being a thing began to swirl in late 2010, the hysteria that immediately followed was expected. Following months of media speculations, Jelena became an official relationship after they made their debut red carpet appearance at a Vanity Fair after-party for the 2011 Oscars in Hollywood. Their first break up came in November 2013 as a result of busy schedules, but that breakup soon proved to be the beginning of their rather prolonged on-and-off relationship. They have both made songs in reference to one another and when it seems like they are finally moving on from each other one party goes ahead to share a cute snap of the other, confusing us all while giving Jelena fans hope that they just might last forever. However, their split in May 2018, seems like the end of it all. According to reports, Selena’s family and friends were not at all supportive of the idea of Justin again and Selena had to make the choice of remaining with Justin or calling it quits to keep the good relationship she’s always had with friends and family. During the times Jelena was on break Justin experimented with many other ladies, mostly models. The first person he was rumored to be with was Aussie beauty, Miranda Kerr. Though the rumors of them getting flirty and later hooking up after the 2012 Victoria’s Secret Fashion Show was never confirmed by either party, this is a worthy addition considering how it was speculated to be part of the reason why Kerr split with her then-husband Orlando Bloom. Kerr is now married to Snapchat billionaire CEO Evan Spiegel. They could deny it all they want but the evidence does prove that Biebs and Jeffries were for a brief period more than just friends. They first started hanging out in 2014 and she was spotted chilling with Biebs in his Lambo. When Biebs was famously picked up for DUI in Miami, Jeffries was right there in the car with him. They seemed to have hooked up again in July 2016 after both were spotted during Bieb’s Purpose Tour at New York City’s Madison Square Garden. 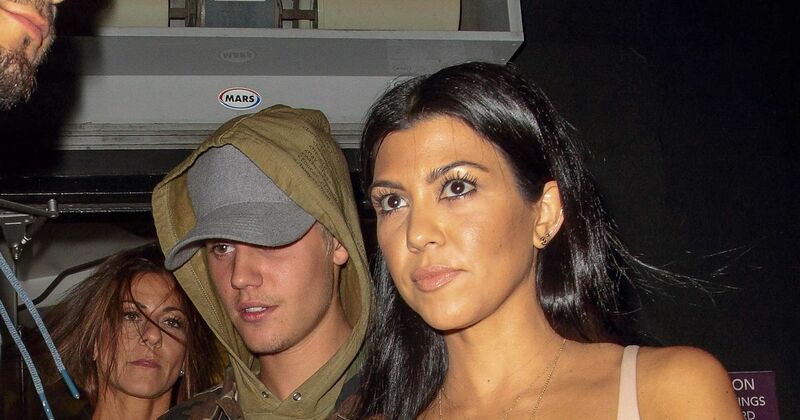 In late 2015, Biebs hung out a lot with the eldest Kardashian sister sparking dating rumors. Sources speculated that they had several hookups. Justin Bieber joked about the rumors in a December interview on The Bert Show saying “I’m being used, man. What can I say?”. Kourt had just split with Scott Disick at the time. US Weekly in June received exclusive info from her sources that Biebs and the Transformer actress were having sleepovers. It was a short-lived one. Bieber had a fling with Lionel Richie’s daughter in the summer of 2016. They took to IG to post cute snaps of their vacay in Mexico and Japan. Jelena fans were so jealous that they trolled Sofia forcing Biebs to delete his IG, what a gentleman. They had fun while it lasted. Biebs and Ballers actress Paolo were attracted to each other at first sight in Beverly Hills so they went for it. They went on several dates together and packed on the PDA most notably on a romantic dinner date at Soho House in West Hollywood. They enjoyed their time together for as long as the butterflies lasted. Biebs and Baldwin were longtime friends before rumors of their relationship began to swirl in 2015. She tagged along with Biebs on a family vacation to the tropical island of Anguilla. They later shared photos of themselves kissing before Baldwin confirmed that they were in a casual relationship in April 2016. They split up later but got back together in 2018 and in June 2018, Biebs asked for her hand.